What do you say after your country has completed 44 years of a legal regime that denies the sanctity of all human life? Well, for one thing, you say you hope it doesn't last anywhere close to another 44 years. Yesterday, Jan. 22, was the 44th anniversary of the Supreme Court's rulings in the Roe v. Wade and Doe v. Bolton cases. In those opinions, the justices not only struck down all state restrictions on abortion, but they legalized the lethal procedure throughout all stages of pregnancy -- even to the moment of birth. The results of those decisions have been devastating and far-reaching -- results that include: An estimated 58 million babies dead by legal abortion; untold millions of shattered lives among both women and men; and an encroaching cultural mind-set that labels some lives as not worth living. -- Americans in their 20s and 30s are more pro-life than the previous generations. -- Abortions fell to about 926,000, their lowest level in 40 years, in 2014, the latest year for which statistics are available. 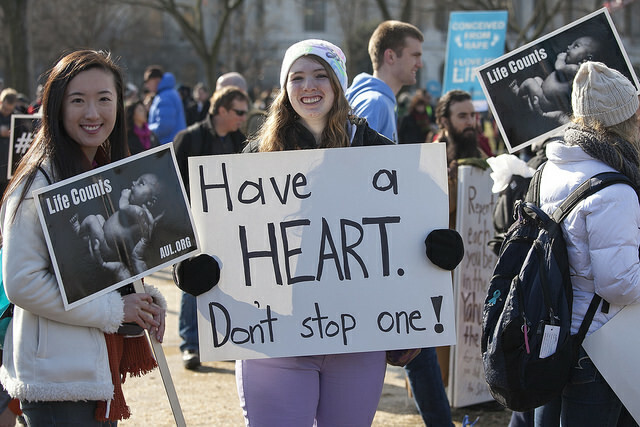 -- The pro-life -- and pregnancy help -- movement continues to grow. -- The quality-of-life ethic is gaining strength in other areas: Six states and the District of Columbia have legalized physician-assisted suicide, and 38 percent of evangelical Christians think it is morally acceptable. -- Nearly one million abortions -- and numbers far less -- still constitute a blight upon our country. -- The Supreme Court is at least two justices short of overturning Roe and Doe. How do we as evangelical Christians respond at this cultural moment? 1. We defend, teach and practice the sanctity-of-life ethic proclaimed in the Bible, demonstrating we value every human being -- regardless of location, condition, development, skin color, ethnicity, citizenship or age -- as an image bearer of God worthy of care and protection. 2. We love, serve, and evangelize others -- even our opponents on abortion and assisted suicide -- so they might know the Creator who made them in His image and sent God the Son in the form of an image-bearer to rescue them. 3. We support and participate in Christ-honoring ministries that serve vulnerable people. 4. We pray -- including for God to continue to restrain behind His dam of mercy the ocean of judgment we have amassed. One of the disturbing developments of 2016 was the rise of the alt-right. This alternative version of the conservative movement is probably most noted for its promotion of white nationalism. If that were not bad enough, there is even a so-called Christian version of the alt-right -- one that calls for a biblically based response from true followers of Jesus. I was already somewhat familiar with the alt-right, but my first contact with it came in mid-November. I retweeted a post on Twitter from Robert George -- McCormick professor of jurisprudence at Princeton University and a stalwart defender of the sanctity of human life, marriage and religious freedom. George tweeted a comment from an alt-right advocate to demonstrate the mentality represented in the movement. The tweet was from "Henry Smith @FoundersRace," who said in a comment responding to criticism by George of alt-right ideology: "If we don't make America more White, you'll never get your way on abortion. Supporting White Nationalism is your only hope.‬‬"
I retweeted George, and soon thereafter someone identified as Levi Hennessy tweeted at George and me: "Alt-Right Christianity is rising, and it will restore true Christian theology." Several of his fellow alt-right travelers liked or retweeted him. I replied to Hennessy, writing: "Love you, Levi. Glad at Jesus' throne will be those 'from every nation and all tribes and peoples' (Rev. 7:9)." 1. 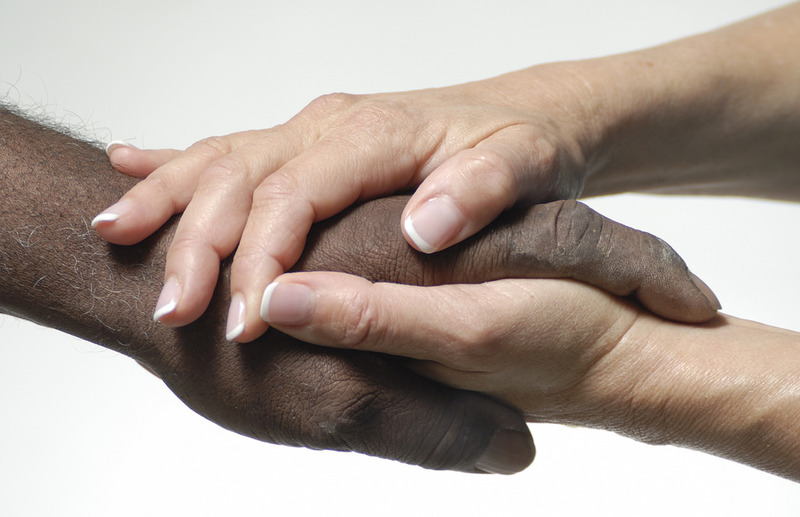 Every human being -- regardless of skin color or ethnicity -- is made in the image of God. 2. Every human being -- regardless of skin color or ethnicity -- is a descendant of the first man, Adam. 3. Every human being -- regardless of skin color or ethnicity -- is a sinner because of his fallenness in Adam. 4. Every human being -- regardless of skin color or ethnicity -- is a member of a people group that includes those who will gather around the throne of God by virtue of the blood of Christ. God the Son did not come to prop up humanity's divisions by skin color and ethnicity. He came not to reinforce walls but to wreck them. He lived and died as the perfect man to save a people whose most important identity would result from union with Him, not from any natural marks such as skin color. Jesus died for people of all ethnicities to make us into "a chosen race" (I Peter 2:9). It appears the alt-right movement is a small one, and hopefully it will remain that way. Its members need the gospel of Jesus just like all the rest of us sinners. But their anti-scriptural, anti-gospel message is dangerous and evil. We should refute it with truth and grace just as we reach out to its devotees righteously and compassionately. We also should defend those whom the alt-right demeans. As followers of Jesus, we must accept the challenge of this moment. We must not let those with loud and angry voices intimidate us into silence. We must speak the truth with love for all of our fellow image bearers, regardless of our difference in pigmentation or heritage.